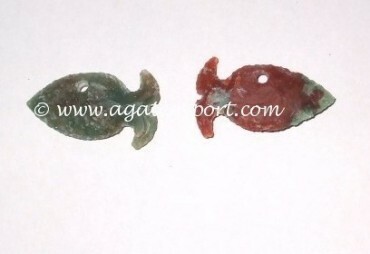 Agate Export brings you an antic pendant â€“ fish arrowhead hole pendant. The stone is cut into arrowhead in such a way that it looks like a fish, with tails instead of pointed ends. Arrowheads Necklace With Arrow Carved.